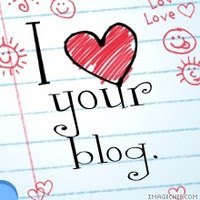 AWARD: I love Your BLOG! Lynn, Precious and When I Wander In Thoughts and In Actions thanks for being such a sweetheart..
Hi sis, thanks a lot for the award, I really appreciate it. Sis yung mga dresses me sizes naman sila pero grabe when I got them they are really classy so I ordered 3 more. hi novs, thanks for this award..sorry jud kaayo ha..karon lang nako nabasa..it's been a while na wala nako naopen akong mga blog kay i'm busy roaming around hehehhe i'm not home just now. i'm away for 3 weeks..sorry jud kaayo nov ha..